This article was written and contributed by L. Orr. She enjoys trips to the local gun range, and being an advocate of gun rights and the 2nd Amendment. As a gun owner/enthusiast, do you know current laws in place for your state, and more importantly, laws being proposed by your state legislature? Many questions arise when it comes to specific laws by state. Adherence to the letter of the law is in everyone’s best interest, yet there are those who would change laws “on the books” to further their ideologies, or bend to public pressure. The debate continues now more than ever, as we see rights in general, hanging in the balance. Currently there is a new law being proposed in Washington D.C. Calling it the “Center for Firearm Violence Prevention Research Establishment Act of 2018 (B22-0843). Perhaps a more fitting title could be: “Gun Control Research Act of 2018”, and will be taxpayer funded if ratified. Most likely this proposal is in response to D.C.’s change to a “Shall Issue” law in October 2017 after bans on open carry, and concealed carry were struck down by federal courts as being unconstitutional. So, local and state legislators are going to work to upend D.C.’s progress towards freedom for the individual, law-abiding gun owner. There are still plenty of restrictions (magazine size, procession of ammunition), but the new law for the state is more in line with many state trends. 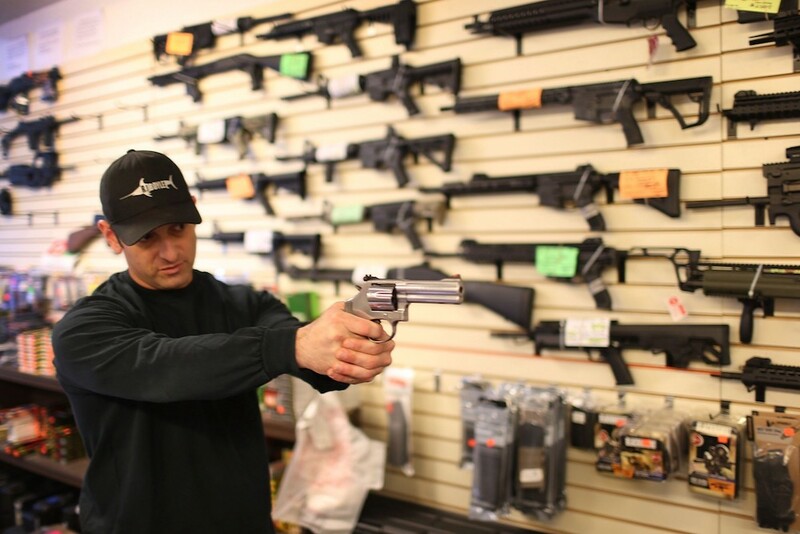 State gun regulations can be quite specific, while at the same time incomprehensive. For example, there are blocks of states that prohibit firearms where alcohol is served, but will allow firearms if a certain percentage of the business is not related to alcohol. All should research specifics for their state. Laws can be ambiguous, and are ever-changing. D.C. is a good example of the tide turning either way. In October, a public hearing will be held concerning the D.C. proposal, so it remains to be seen if citizens there will take part, urging law makers to retain “Shall Issue” for their state. Last year, the NRA lent a hand to secure gun owner’s rights throughout Nebraska. Citizens there could have inadvertently violated the law as they traveled through their state, due to local gun regulations. Legislative Bill 68 eliminated the confusion by ensuring the state gun law preempted local ordinances. A 2004 review of the National Academy of Sciences concluded that there was no evidence that concealed carry either increases or reduces violent crime. Does an open, public venue reserve the right to restrict open carry? Private businesses have the right to ban guns if they post a 30.06, or 30.07 sign. However, you can openly carry in Texas, for example in public parks, buildings, and other areas open to the general public. It’s unlikely this is an isolated incident, as some citizens quietly assume power over other’s rights. Currently there are no new gun cases being proposed to the Supreme Court, however Trump will have potentially even more appointments to the court during his tenure, especially if he achieves that sought-after 2nd term. So, look for more impact to the types of gun cases being considered by SCOTUS. We all should be acutely aware of proposals made by state legislatures, and as we see in the case in Texas, attentive to news about those averse to the law.